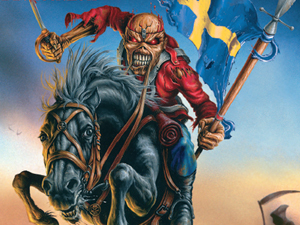 Swedish newspaper Aftonbladet reports that Ticnet broke down immedeately after the tickets for the Maiden show went on sale at 09.00 PM this morning due to heavy demand. Live Nation writes in a press release that the servers couldn’t handle the traffic and the event were taken off sale at 01.00 PM to restore the system. Ticnet says that there were a total of 2000 tickets held up in the system. The remaining tickets will be made available again when the sale resume at 03.00 PM.